You are here: Home / Holidays / Valentine's Day / Valentines Day Wall Art Printables & More! 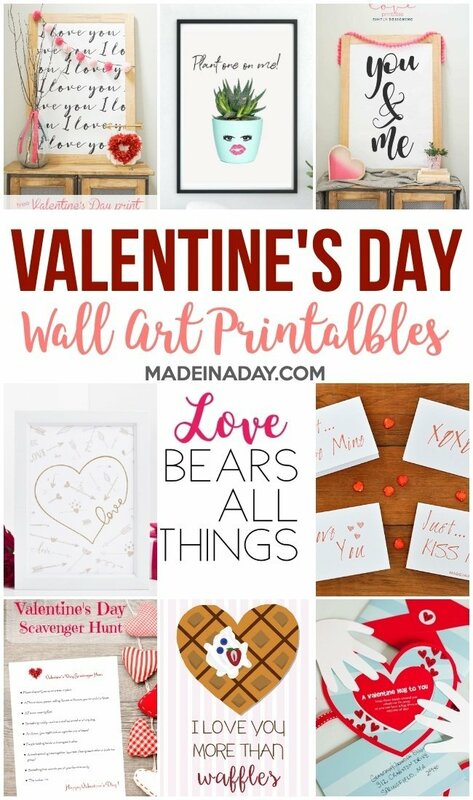 Grab these sweet Valentine’s Day Wall art Printables and more to decorate your home this season! Just print out, frame and enjoy! For more fun printables see my Valentine’s Day page.